Fits in the palm of your hand to squeeze out fart noises. No batteries required. 1. Hold Le Tooter in your hand with the hole pressed against your palm. 2. Squeeze with your fingers. 3. 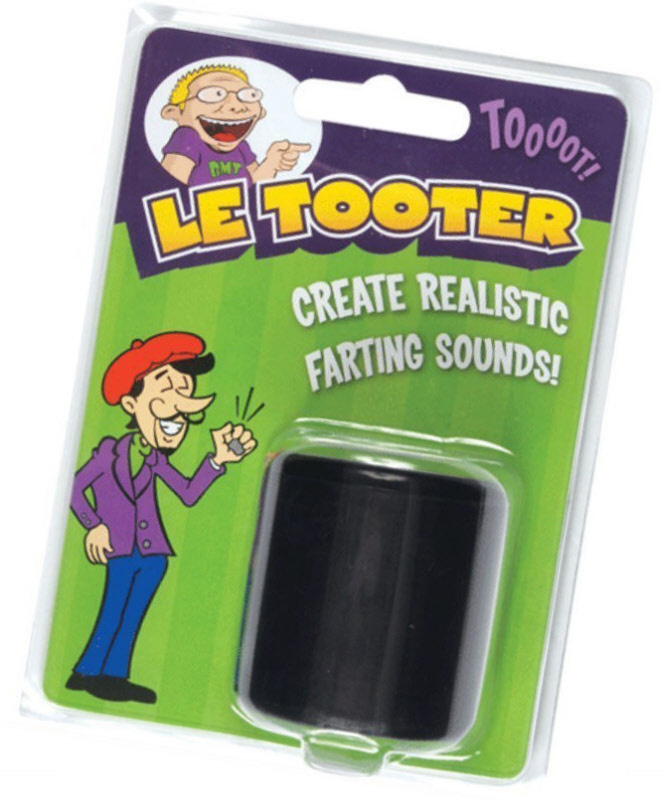 Practice positioning your Le Tooter in different areas of your palm for the perfect pitch toot. 4. Perfect Tooting is an art form. So be sure to keep practicing!